Are Sports Becoming A Threat To Our Freedom? R.J. Rushdoony: 00:01 Are sports becoming a threat to us? This is R.J. Rushdoony with a report on our threatened freedom. I have always enjoyed sports. I can remember my excitement as a boy in watching my first big league game. As Americans, we are very prone to a delight in sports, but not to the extremes of some countries. For us, a game is a game, fun, but not much more than that. In recent years, however, there have been developments on the sports scene which may in time create an ugly backlash against these really good games. For the past 15 years, some baseball, football, basketball, and hockey teams have been provided with publicly owned facilities built specifically for them at the tax payers’ expense. Of the 80 stadiums and arenas housing the nearly 100 big league teams, according to Inquiry magazine, about two thirds have been built at the taxpayers’ expense. R.J. Rushdoony: 01:10 These stadiums and arenas are not only a tremendous expense to the taxpayer, but are often scandal tainted in their construction. Their costs are astronomical, some are badly located and poorly constructed, and the main beneficiaries are the owners of the sports teams. These owners are already extremely wealthy, but we pay for their benefit a considerable amount of taxes. R.J. Rushdoony: 01:40 If sports are entitled to public housing at the taxpayers’ expense, why not other activities? Why not provide free barbershops for all barbers? Plush facilities for a modest rental fee. After all, virtually all males use barber shops so that they serve more people than do the big league sports. 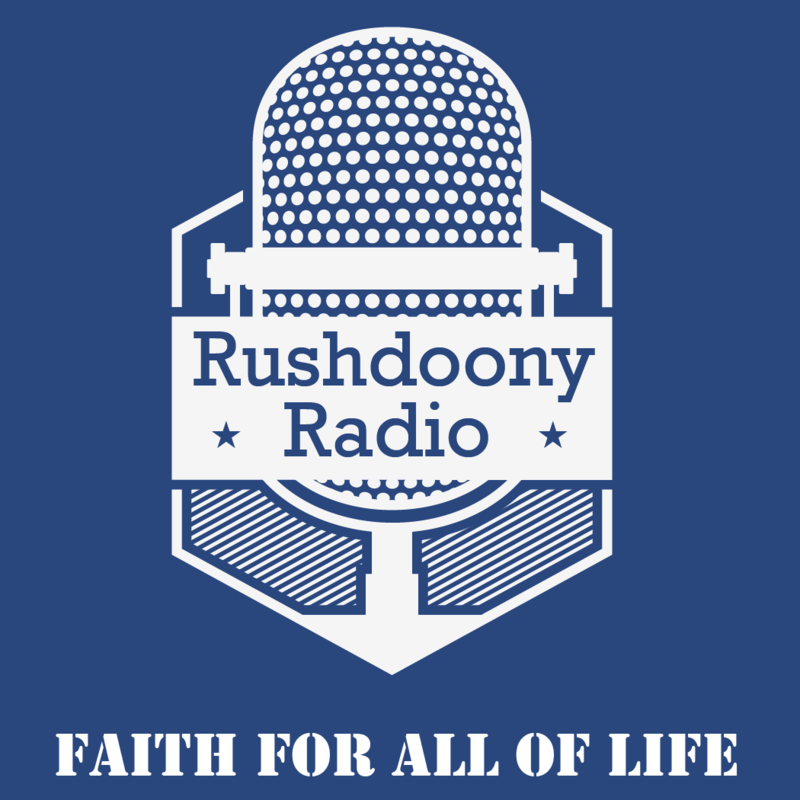 R.J. Rushdoony: 02:05 About 50% to 60% of all Americans go to church. Should we build churches with tax funds? Restaurants provide a very much needed public service and their costs are high and their life expectancy not too good. Should we subsidize restaurant construction and maintenance? Of course, the big league teams pay a rent for the use of the stadiums and arenas. This amount is small, usually 5% to 6% of the gate receipts. With the frequent condition that this payment is valid only after a minimum attendance figure is reached. Are you paying only 5% to 6% of your income for house rent or house payments? Are you excused from payments if your income drops below a certain amount? Why then do we have to pay to provide housing for big league sports? I like sports, but not on my tax bills. R.J. Rushdoony: 03:09 In brief, the kinds of things our taxes now subsidize are not only ridiculous, but dangerous to our freedom. When the modest income tax payer is subsidizing wealthy, big league teams in housing, something is seriously wrong and needs altering. This has been R.J. Rushdoony on a report on our threatened freedom.